You could use a wash on those guardians, will make the details come out a bit more, other than that your doing good. They do have a layer of Leviathan Purple wash allready. Might try a second on them if you say so. 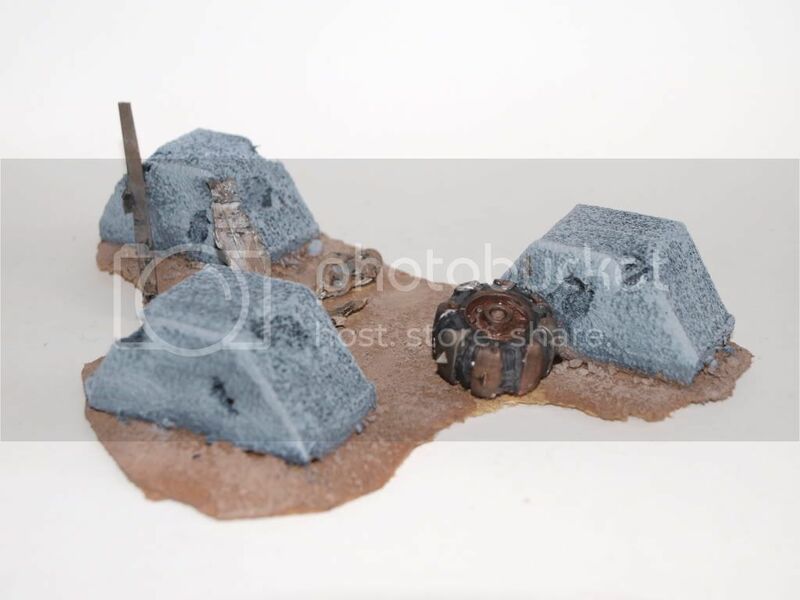 The terrain board is looking great as well! Congrats on that! 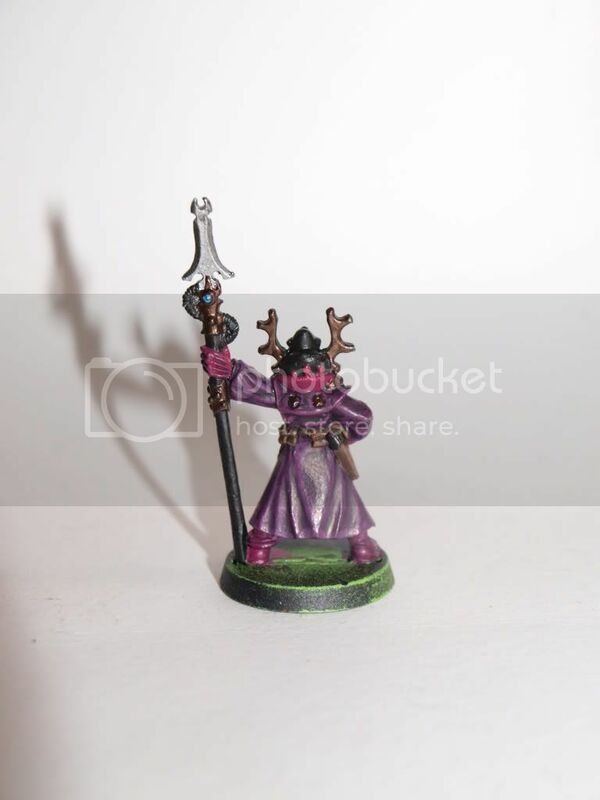 I would suggest black wash and then a coat of purple wash. The orks are looking great. 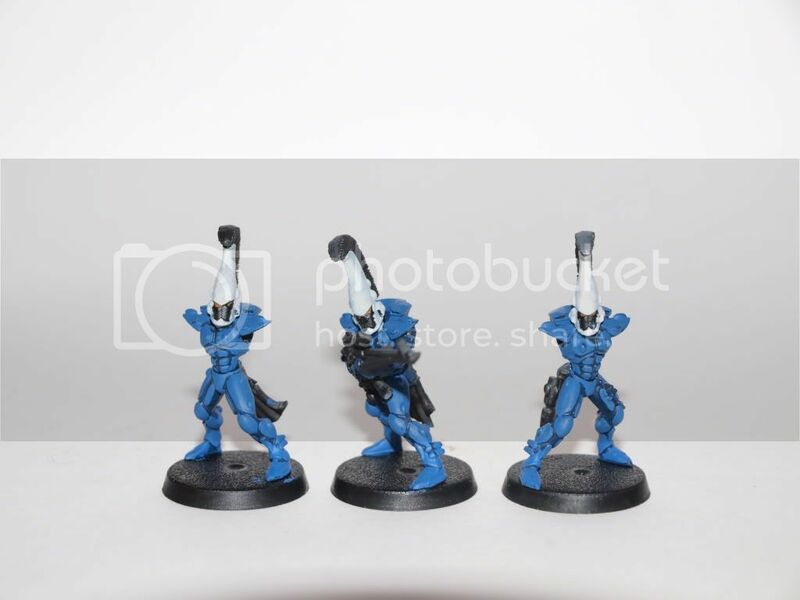 Keep up the great work and looking forward to seeing more of the eldar being done. Thanks regarding both. 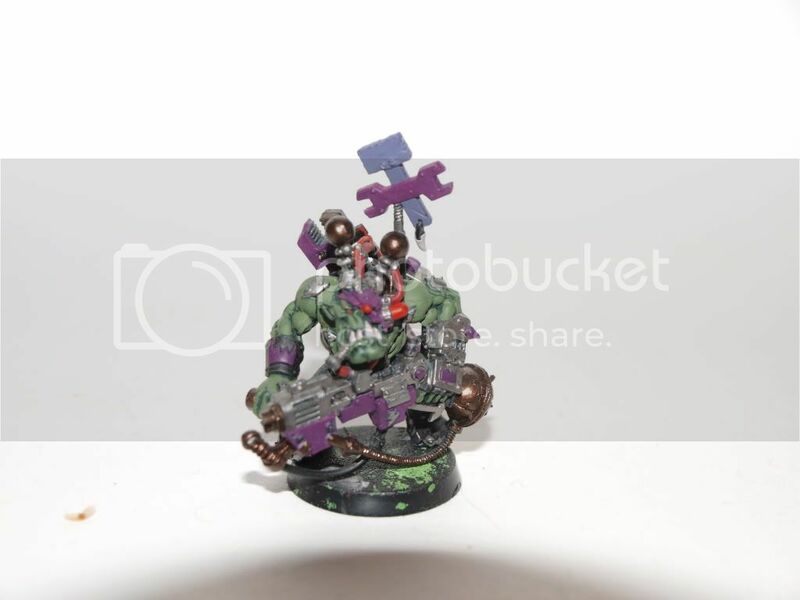 I tried some different schemes on my orks but when my fiance pointed out that Purple and Red/Orange isn't "friendly colours" I thought, Orks dosn't give a crap about "friendly colours", and kept it. I'm surely to expand it in the future. I'll try that one. Thanks very much and I'll post again when my Dire Avangers and a Warlock for my guardians is finished. It have spent much time on my work lately so I haven't gotten as far as I though. 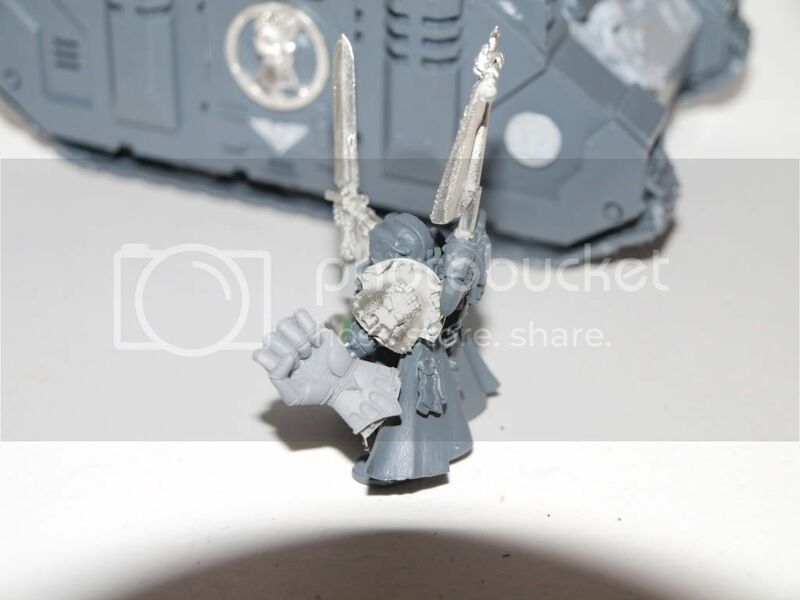 Though I have gotten the Crimson Fist Bitz from FW I still haven't seen the Captain and Razorback from GW. In the meantime I have continued on some scenery and my Dire Avangers. I'll post i few pics so you can see my progress. 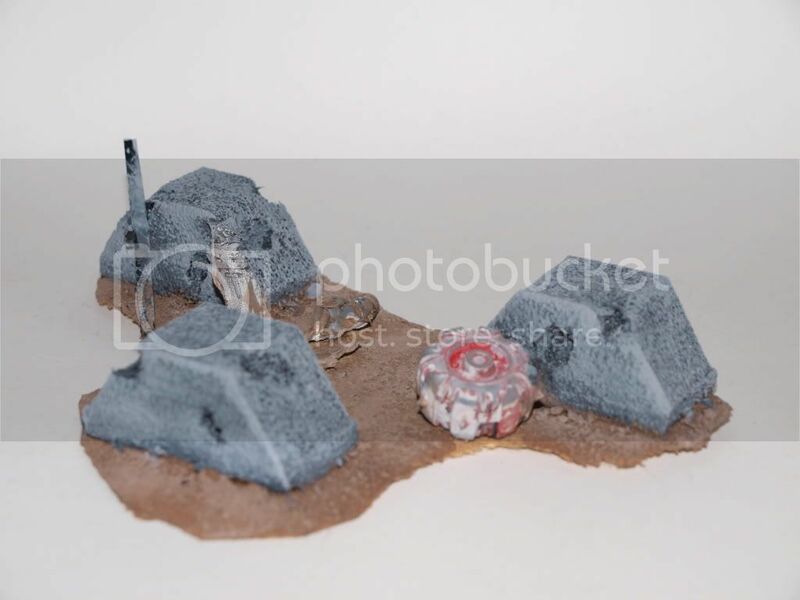 I hope to finish the DAs, Warlock and tank traps before my stuff from GW arrives. I still need to put down some effort in detailing the DAs and glue their arms, weapons and sholderlights, then it should just be high lightning left. 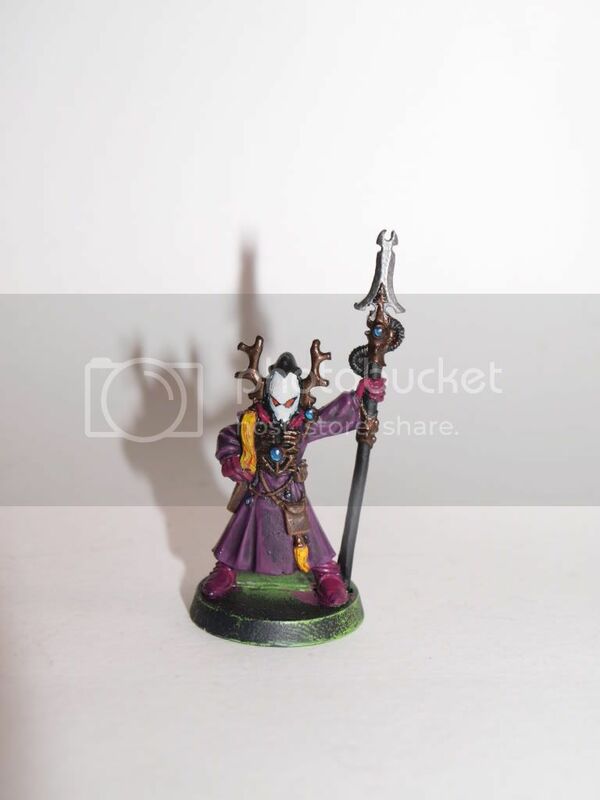 My first ever warlock is coming on fine but also here there are some high lightning left. 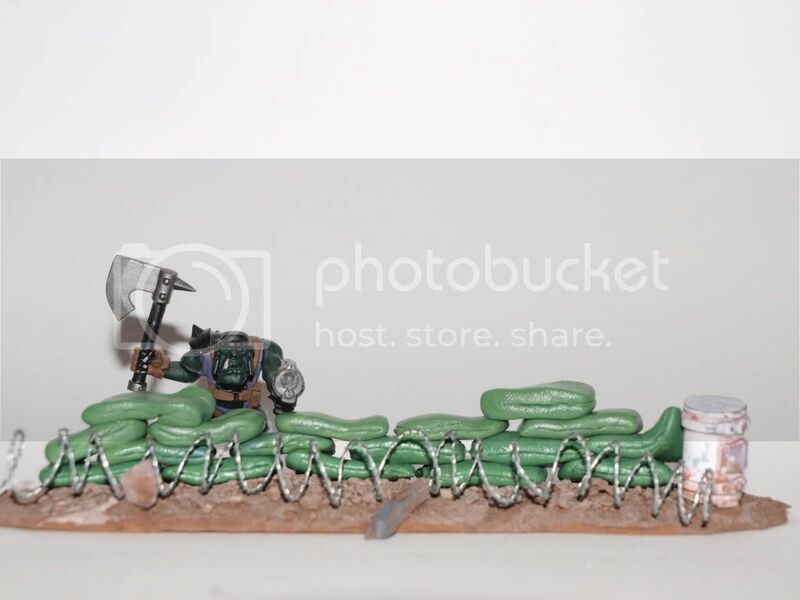 More GS to get my line to three sandbags high and I'll add a rusty razorwire infront. For the tanktrapps I believe the only thing left is wash up the concrete to make it melt in better. I'll post more this weekend and until then, please comment! Last edited by Moriouce; 09-29-11 at 12:18 PM. Hello everybody and finaly a new update to what I've been doing latley. Further I have used smaller tankicons to make his armour that more uniqe by gluing them on his lower legs after som alteration to them, they are not finished. I'll make them thinner and then bend them carefully around his legs and kneecaps. 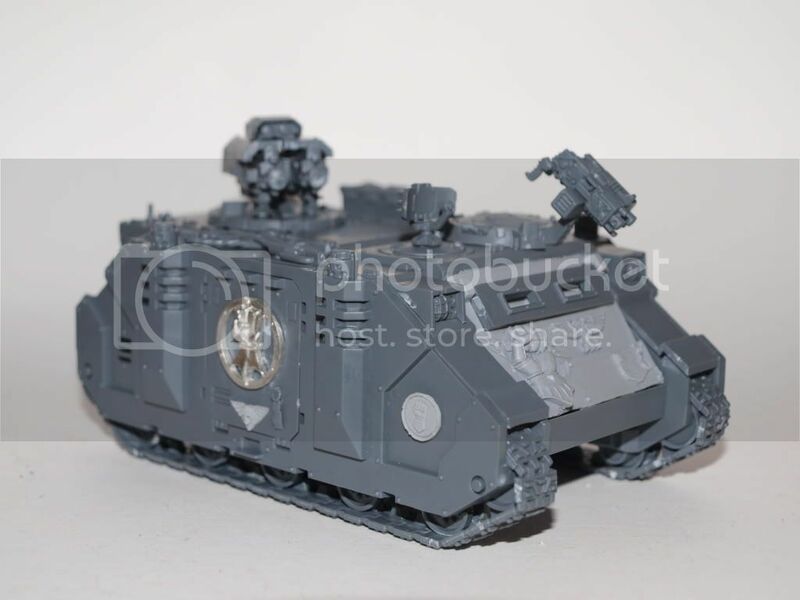 The Razorback is a standard with twin H. bolters, I've used the remaining plates from FW and some from GW to make it a true Crimson Fist Command vehicle. I'm thinking of adding some larger antenna, I have one from lego but I'm not sure it gonna fit. 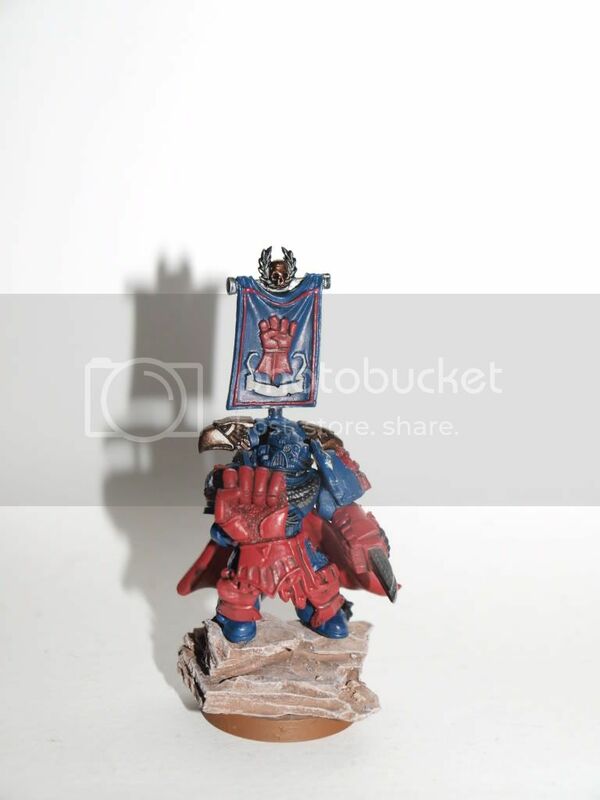 Here is some pics on my first Crimson Fist! 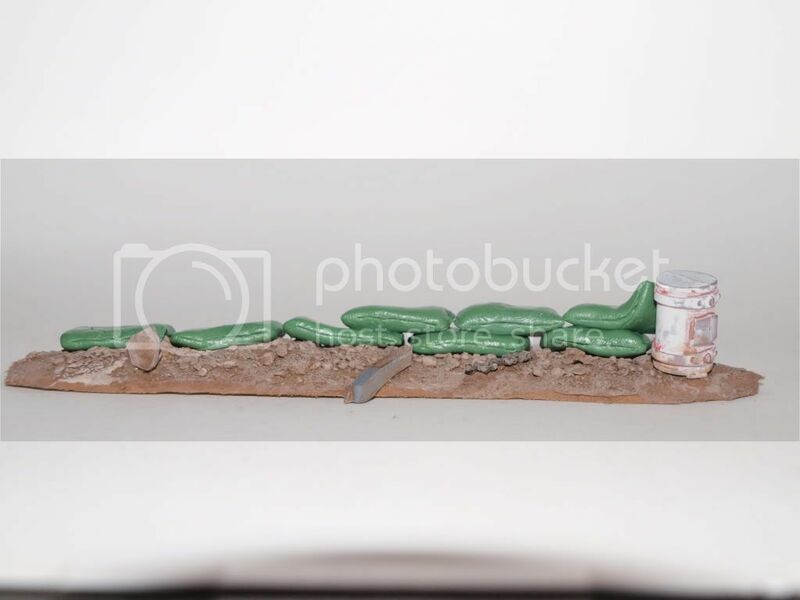 And I have also progressed with my sand bag wall. Now I hope you all could give me some usefull tips and hints regarding my Captain foremost. 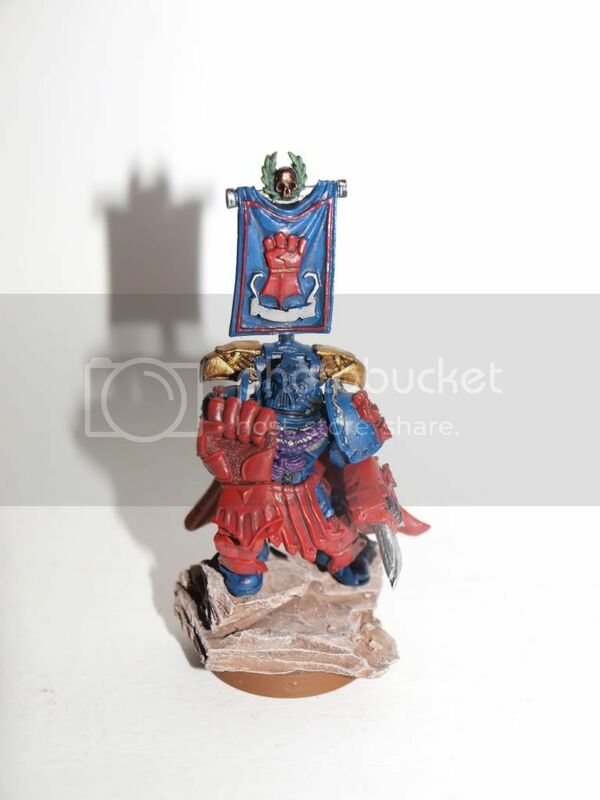 Is Regal Blue with highlights of Ultramarine a good Crimson Fist blue? 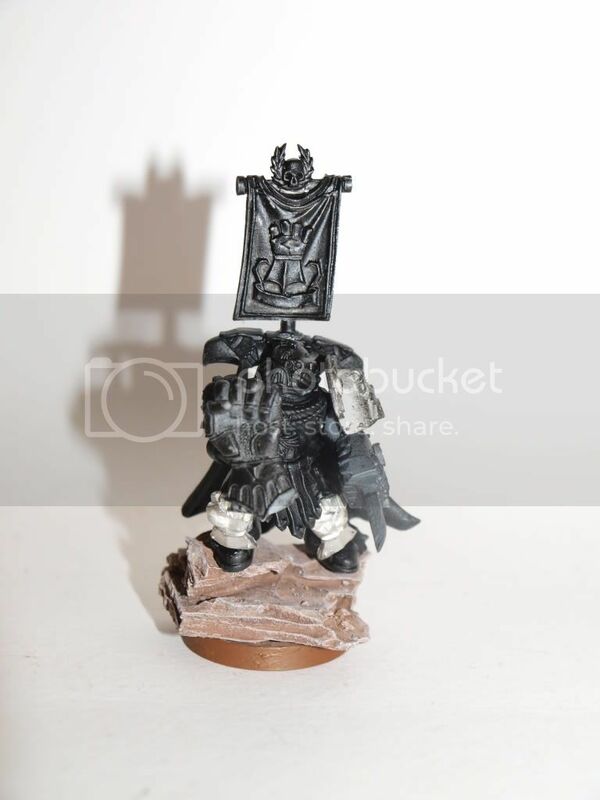 How would you all like to see him painted? 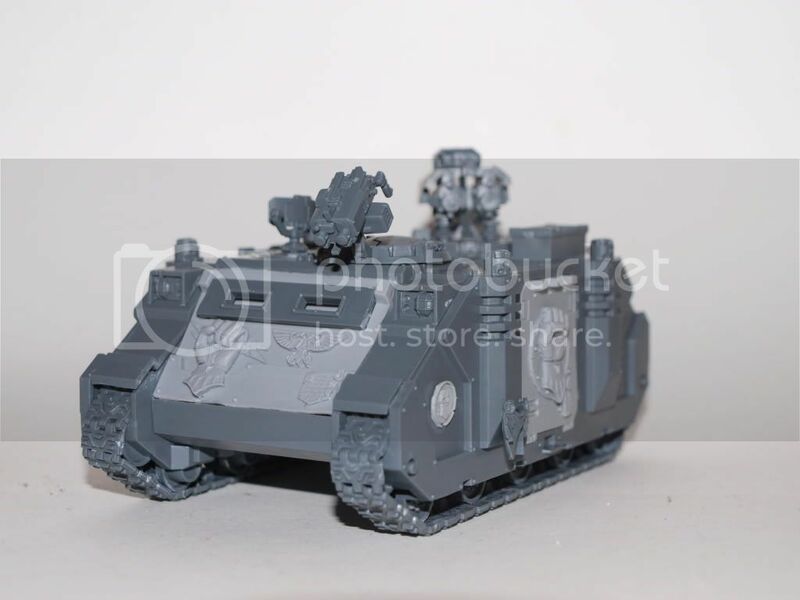 Is my Razorback missing anything specific to make it a command vehicle? All comments are more than welcome! Doesn't anyone have anything at all to say regarding my captain? Since last time I posted I have tired out som different poses and I've been working more on the knee caps. I have also exchanged his Power Sword for a Lightning Claw since that is re-roll wounds for the same points. This has also made me change hands on the Storm Shield but then again I found a 90% right arm so now hw holds the shield infront of him. I do not have any pics at the moment cause he is on dry-up-duty from his first layer of paint. I have much needed time on wednesday and thursday so then I'll post pics from the whole progress before final high lightning. I like what you did with the shield, very creative! 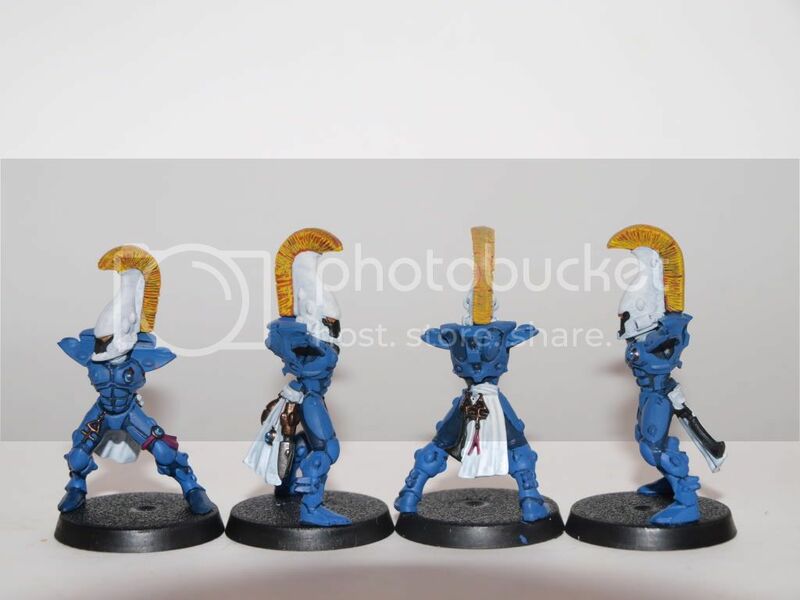 i don't much about the color scheme for Crimson fists..i think I've seen blue/red. Ultramarine blue should work just fine. you might want something darker for certain areas but overall would work great. I want to see the final outcome of this piece though so please make sure to keep the pictures coming! Here are now three pics showing the progress of my captain. What I have next is going all over his cape again and then washes and final details and highlights. Tell me what you think and I hope you enjoy my captain! Progress have been kinda slow lately but I'm still finishing off my Captain. Since I've finished the Rynn's World novel, I thinking of naming my Huron Grimm. 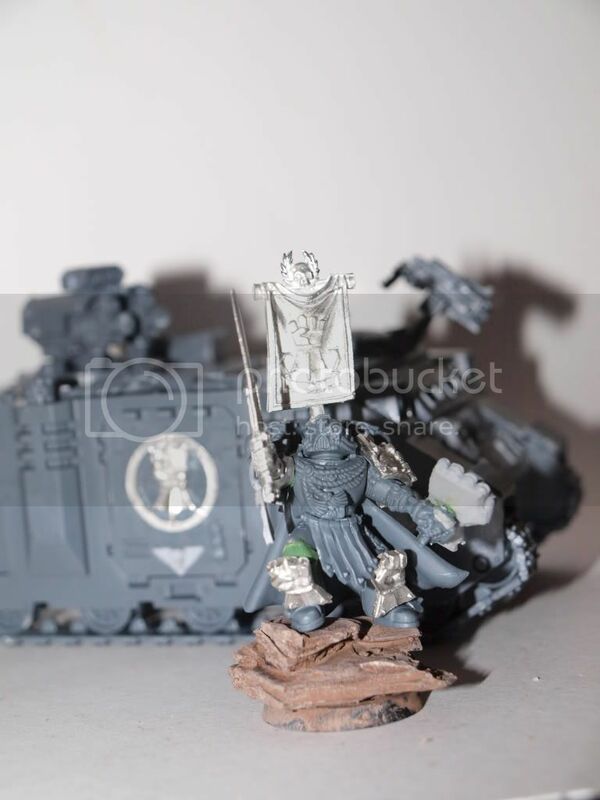 Since he so valiantly held Jadeberry Hill and the underpass for the Chapter Master to have access to New Rynn City, I like to believe he was revarded with the command of a company. Anyone know if there is any fluff regarding Huron Grimm and the aftermatch of the Battle of Rynn's World? Meanwhile I'll give you and old pic of a Mek customized a while back. Sometime next week I'll post the finished Captain and the Sandbag wall.